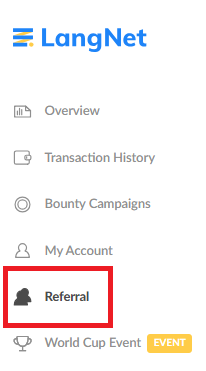 Below is a step-by-step explanation of how the referral tree works. 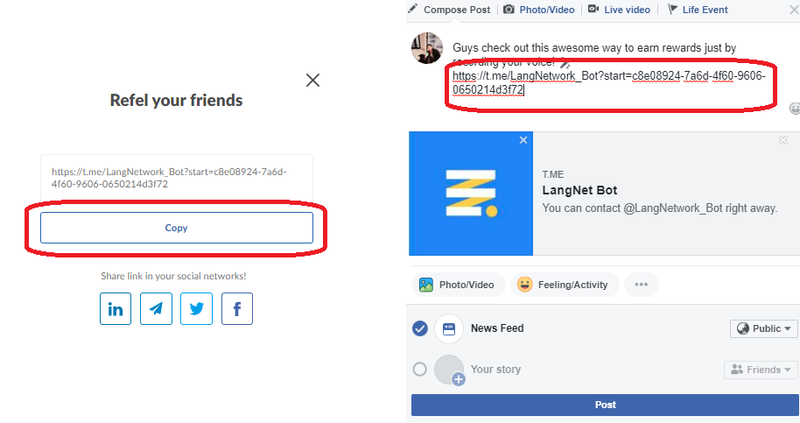 Step 3: John’s friends Robert, Mike, and Dahye click on John’s link and begin recording sentences. 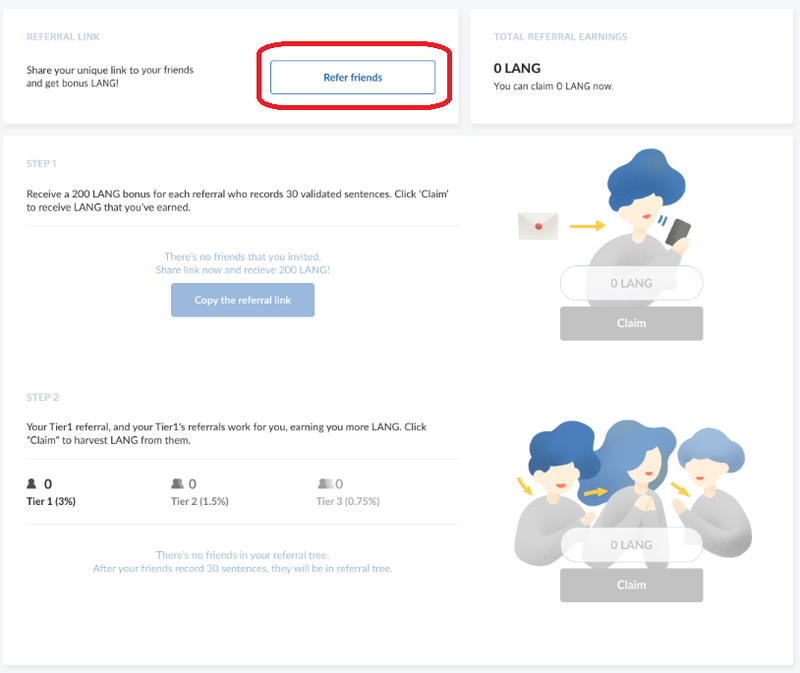 Step 4: Once Robert and Mike have each each completed 30 recordings, you will be able to click Claim to receive 400 LANG total (200 LANG for each). 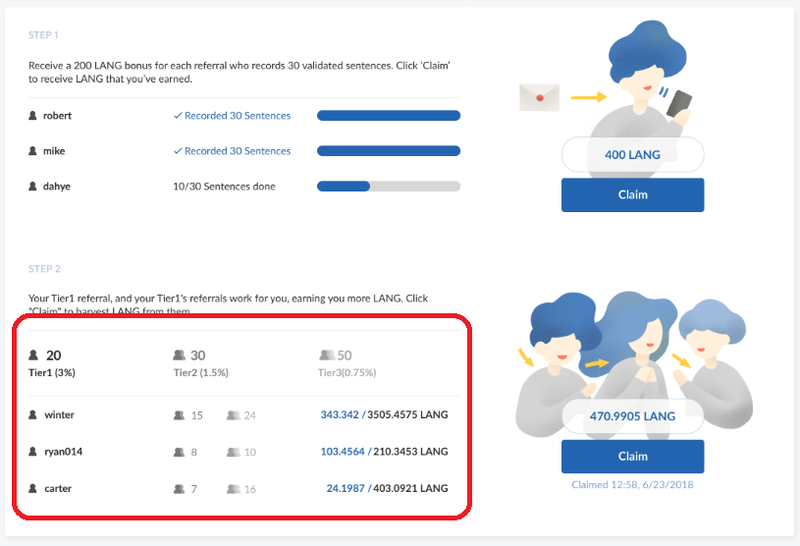 This is the Tier1 referral bonus — a fixed, one-time payment of 200 LANG apiece. 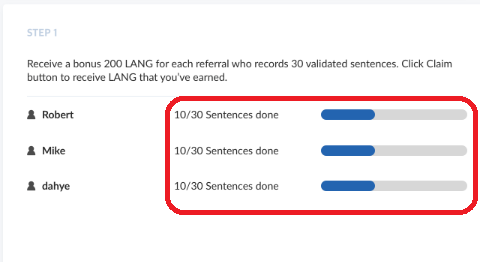 Step 5: John can continue earning LANG indefinitely through secondary (Tier2), tertiary (Tier3) referrals that join LangNet through his primary (Tier1) referrals — Robert and Mike.